In Tokyo I visited professor Masahiko Inami and his group at Keio Media Design – the only lab where I enjoy finding lab animals. I can come up with so many ways to use their work with haptics in my performances aswell as in other situations. For example this invention based on the idea of self-made toy phones, where the sound is transferred by the thread between two cups. Only here the vibrations are transferred, so if you pour something in one cup (sand/pepples/water) if feels exactly as if something’s being poured into the connected cup. It’d be perfect in the Gravitational Waves-performance! 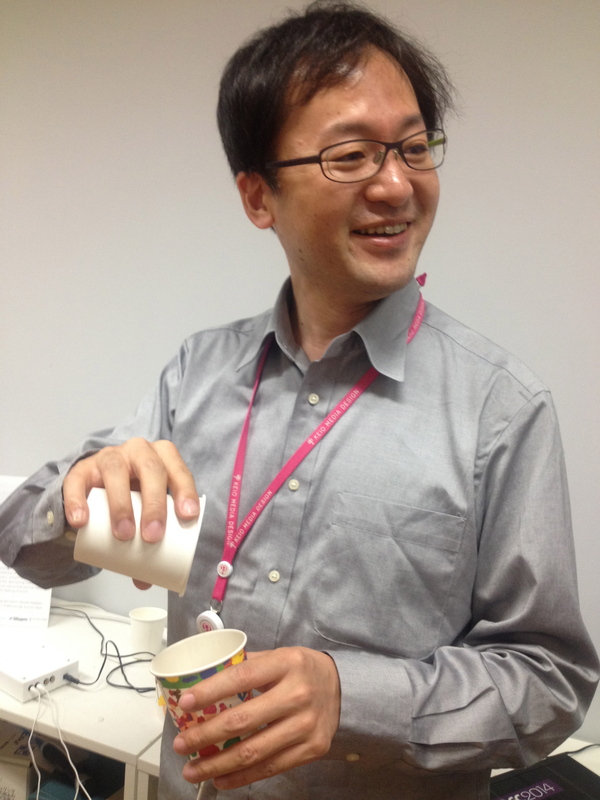 Professor Masahiko Inami pouring sand into the “sender cup”. 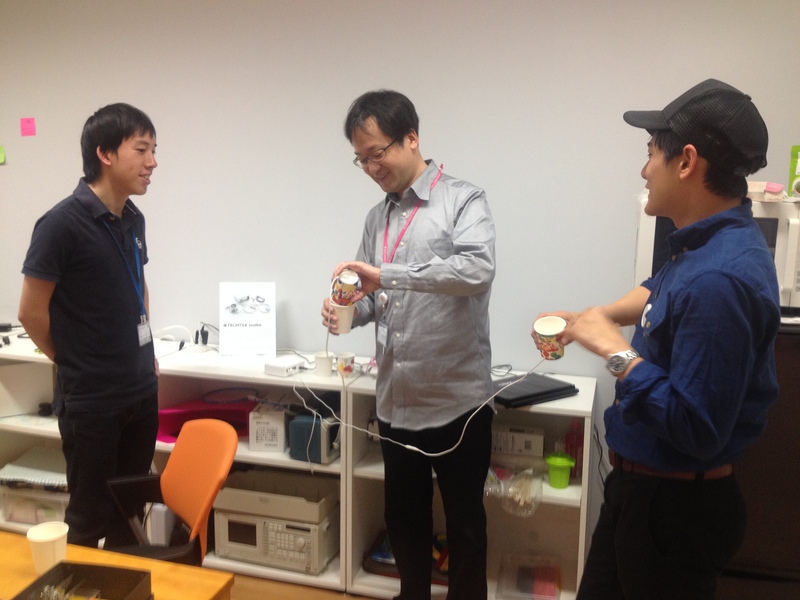 Kuan-Ju Wu from Tellart holds the “receiver cup” and experiences the “weird in an amazing way” feeling of it being invisibly filled. Kuan-Ju Wu also presented some of his projects in tangible interaction design, one is “The binoculars”, connecting people and places all over the world. 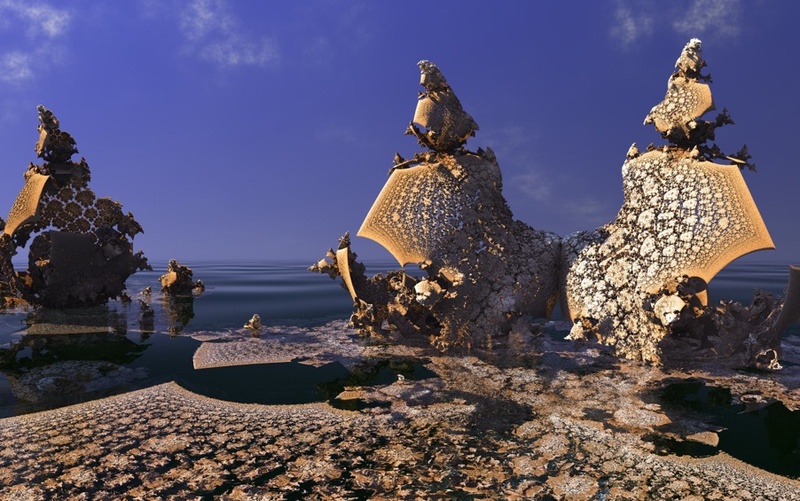 also check out MixedReality Lab led by professor Adrian Cheok, now located in London. They’re for example working on smell-texting! I also made a presentation about my work to them, and hopefully we’ll be able to collaborate in future projects. ← Gravitational Waves and neutrinos in Japan!